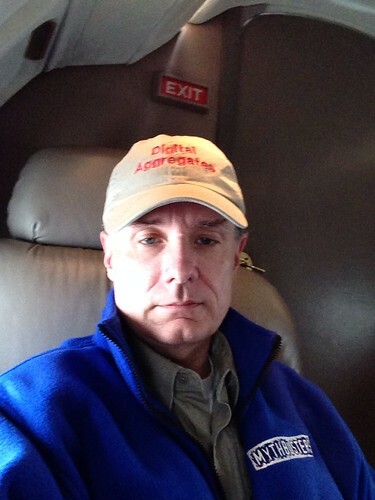 I just recently completed a year working with a team to develop a satellite communications product for business aviation. My participation in that project culminated with us flight testing the system on an executive jet. I spent most of those flight tests sitting in a luxurious leather chair plusher than the recliner in my living room. Flying coach on a commercial airline will never again seem adequate. That product was mostly Session Initiation Protocol (SIP) and Real-Time Protocol (RTP) based, just like your typical Voice over Internet Protocol (VoIP) phone. But it also supported an older analog technology commonly used in aviation which brought back memories of my Bell Labs days. Early in the development of this product I was debugging software I had written to do tone dialing over the audio path in the analog hardware. Just the other day I got to thinking "Boy, it sure would have been useful to have had a spectrum analyzer to have figured that out." It was a head slapping moment as I realized that my Velleman PCSU1000 PC-based digital storage oscilloscope (DSO), as seen in Brass Tacks, had that very capability. I had just never used it. But how hard could it be? There was only one thing to do: learn how to use the tools I already owned by doing some spectrum analysis. The mechanisms used to dial a phone have evolved since Alexander Graham Bell patented the telephone in 1876. At first, connecting up a phone call was a strictly manual process: just like you may have seen in the old movies, you picked up the receiver and waited for your local telephone operator to answer. You told her who you wanted to talk to, and she (it was almost inevitably a she) either connected you up directly by plugging in a patch cord to the line of the person you were calling, or she patched her way to another operator (and perhaps to another, and another) until the call was completed end to end. The patch cord had a plug with dual concentric conductors that was polarized such that the inner conductor, or the tip, was positive, and the outer conductor, or the ring, was negative. (There was also a third outer-most conductor, the sleeve, that when it was hooked up at all was connected to ground.) 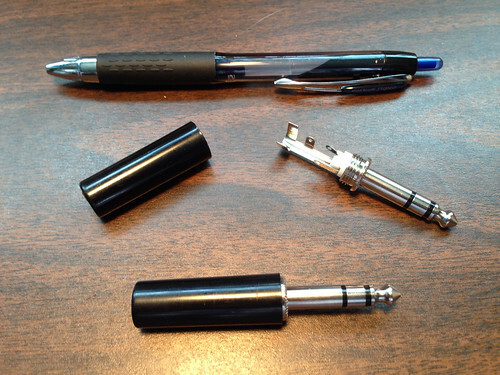 Tip and ring style connectors are still in common use today, albeit in much smaller form factors: check out the headphone jack on your smartphone. 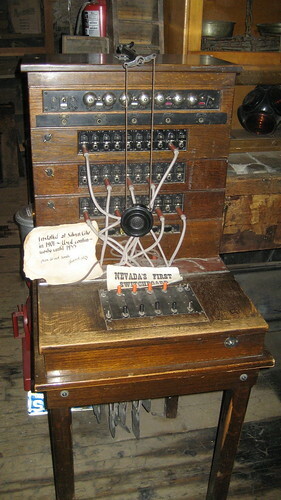 Automation arrived in 1891 with the patent for pulse dialing. 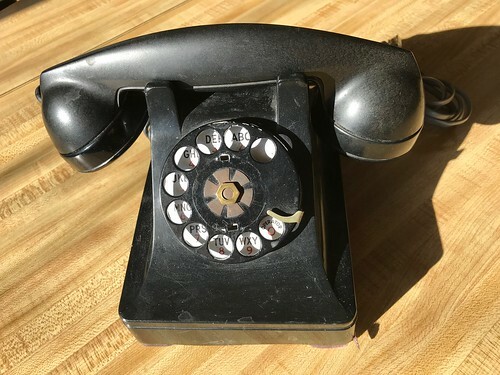 Your rotary dial phone used an electromechanical mechanism to make and break the current loop with the telephone company equipment in your central office, encoding your dialed digits in up to ten consecutive pulses of about a tenth of a second apiece. 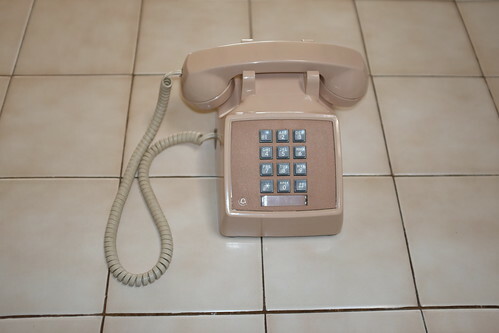 This was electrically equivalent to rapidly pressing and releasing the switch hook, the button that was depressed when you hung up the receiver. 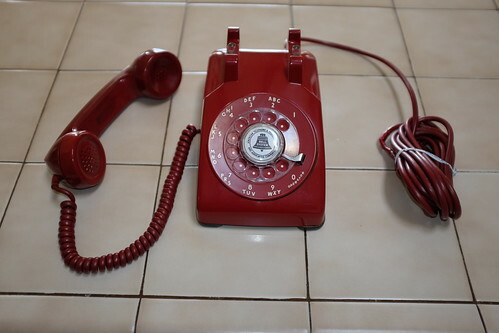 In fact, if you worked at a frugal company that put locks on the rotary dials to keep people from making phone calls, and if you were perhaps a college student who was fleet of finger, you could trivially make calls without using the rotary dial at all. Dialing zero (ten pulses) was a bit of a challenge, but I assure you from personal experience that it was completely doable. And lest you think that pulse dialing was never used in the computer age, as recently as the year 2000 I wrote software for a commercial product to dial calls by making and breaking the current loop on an analog trunk with exquisitely careful timing. And I wrote that software in Java. Pulse dialing had one big draw back: it was slow. It could take many seconds to dial a long phone number, time that would have been better spent accruing long distance charges and hence generating revenue. So in 1963, with the advent of reasonably inexpensive technology to do signal processing, the Bell System introduced tone dialing. 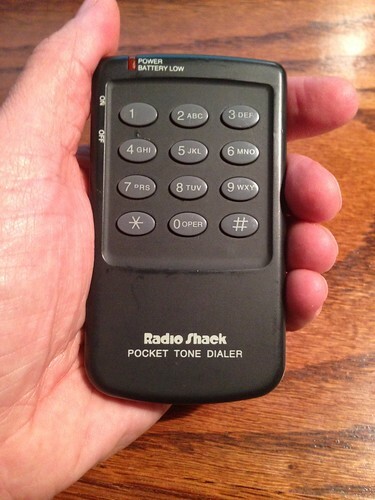 Your Touch-Tone phone had a keypad that generated tones over the audio path to equipment in the central office that performed digit collection as you dialed your phone. 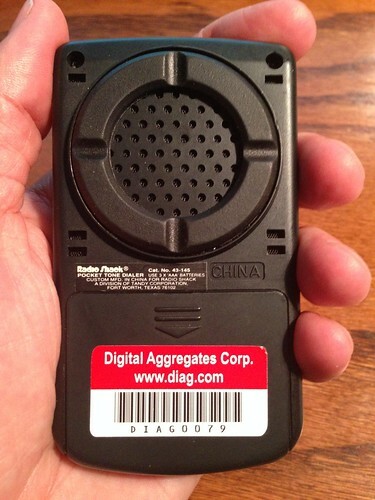 This was referred to as dual-tone multi-frequency (DTMF) signaling, and is still in common use today for dialing on non-VoIP land lines and other analog technologies. 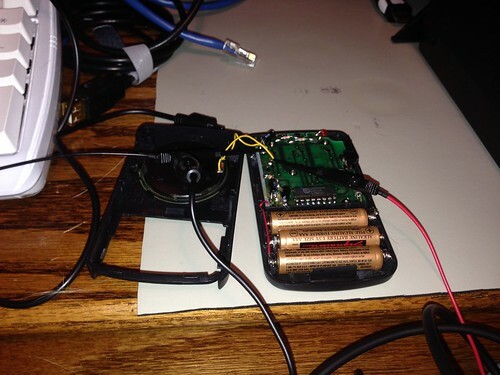 DTMF found its way in to all kinds of equipment, including FAX machines and modems. 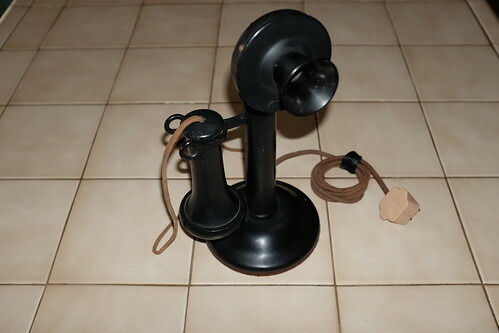 It was so effective that it was not only used for dialing, but it was adopted to control a variety of devices that you might put on your telephone line, like answering machines. That's because besides having become ubiquitous, DTMF was specifically designed  to be reliably transported over even poor quality analog phone lines, and  to not be likely to be generated by a human voice. Each button on the Touch-Tone keypad generates a pair of frequencies that uniquely identifies it, much like an [X,Y] coordinate. Here is what the 4x4 Touch-Tone matrix looks like. Yes, the DTMF standard includes tones for buttons labelled A, B, C, and D, as well as the ten digits, the asterisk, and the octothorpe. And no, even for all my time spent in telephony and telecommunications, I have never seen a phone with the A, B, C, or D buttons. But I am assured that at least at one time, phones deep within the Department of Defense had them, for purposes of prioritizing calls. Maybe inside Cheyenne Mountain (although I've been inside Cheyenne Mountain and I didn't notice any). Note that everything I've described applies to only dialing a phone (a.k.a. station or terminal); the trunks that connected central offices together had their own signaling mechanisms. And because a telephone company (sometimes not the same one) controlled both ends of the trunk, and there are a lot fewer trunks than phones, trunk signaling could be automated much more quickly. For all I know there may still be rotary dial (and hence pulse dialing) phones in daily use in the U.S.
and a speaker on the other side. These little devices were especially handy, in the dark ages, should you find yourself needing to control your answering machine from a rotary dial phone. Alas, these are almost impossible to find nowadays. Although there are smartphone apps that implement the same functionality (and I have such an app on my iPhone), I find that the old tone dialers still work better. That recent satcom project sent a couple of us old guys scrambling through our basements, where I was relieved to find I still owned a couple of tone dialers. Crack one open and you will find that they are nothing more than a keypad, a chip, a few discrete components, a speaker, and some batteries. I attached my oscilloscope to the yellow speaker wires. I took a look at the waveform produced by DTMF 0, a tone that is the sum of the frequencies 941Hz and 1336Hz. The oscilloscope represents time on the horizontal (X) axis, and voltage (amplitude) on the vertical (Y) axis. Clearly from this screenshot you can see that there is some sort of regular pattern being expressed. But good luck teasing apart what it might be just from inspection. Fortunately, the Fourier Theorem says that any reasonably continuous repeating signal can be decomposed into the sum of several regular sinusoidal signals, each of which would be a single frequency. The Fourier Transform is a mathematical algorithm that does just that. If you then map those individual sinusoidal signals from the time domain into the frequency domain, what you get is a graph that shows you what frequencies are prevalent in your original signal. As luck would have it, my oscilloscope can do all of that with little more than a mouse click on my part. 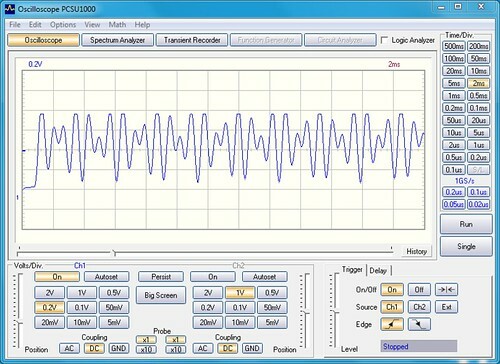 It implements the Fourier Transform in software on the laptop to which it is connected. This is spectrum analysis, a display of the use of the frequency spectrum within a signal. 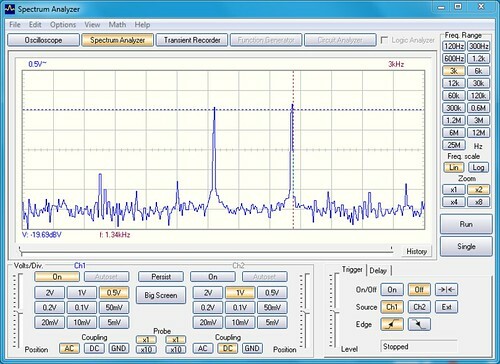 The spectrum analyzer represents frequency on the horizontal (X) axis, and decibel Volts (relative change in voltage) on the vertical (Y) axis. The PSCU1000 tells me that DTMF 0 on my pocket tone dialer is approximately composed of 950Hz and 1330Hz signals, plus a lot of noise at much lower amplitudes. The peaks of those two frequencies really stand out. Exact? No. Close enough? Sure. The frequencies selected for DTMF were chosen with enough gap between them so that they could be easily distinguished from one another without ambiguity even if the frequencies weren't spot on. Had I thought to use my oscilloscope (which at the time was sitting in the trunk of my car just steps away from the lab where I was working), I could have characterized the DTMF tones our product was generating and gotten a useful clue as to where the problem I was debugging might have been. This article is my penance for that senior moment. Maybe next time, I'll remember. Here's my latest addition to my collection, a Christmas present from Mrs. Overclock. 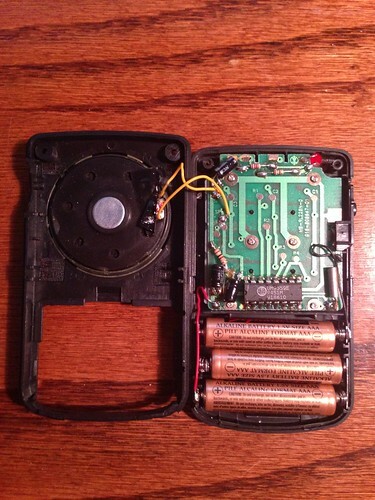 And it still works. Great article. Maybe as I get more senior myself I appreciate history more. I've heard the terms tip and ring for many years, including when I managed a Network Services group for six years, but thought they were obscure references to telephony functions, not to the physical components of a patch cord. Even more useful will be understanding the 3.5mm plugs on my headsets and other audio stuff. As a side note, I wanted to name our cats Tip and Ring after I worked in a phone shop as a maintenance tech, but nooo. When Touch-Tone was first introduced, I dimly recall that you had to pay extra to get it. That lasted until all the central offices were equipped with enough tone detector hardware that they could handle the maximum engineered simultaneous digit collection load. Then the phone company(s) changed to charging more for pulse dialing, because they wanted to eliminate the pulse digit collection hardware. There are probably still pulse dialing phones here and there, but the owners are paying more for it. I built a set of touch free infrared through the glass buttons with these. Each button was tuned to a different frequency so they would not interfere with each other. I miss the days when it was that simple. Now it seems like you end up using an expensive digital signal processor with thousands of lines of code just to do tones. Of course, it can do lots of other stuff too (like tone detection). But for just generating DTMF down an analog channel, it's like using a "physics package" (just learned that term) to hunt rabbits.